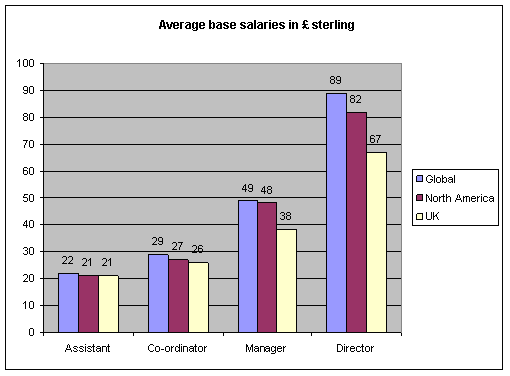 North American firms pay 24% more than UK firms to their managers and directors, but similar amounts to junior marketers. Global firms pay highest. 40% of marketers believe themselves to be paid less than their peers with only 7% feeling that they are paid more. Trade associations are seen as the most reliable source of salary data. Line managers and HR teams are no more relied on than the office grapevine.